Charming farms, as-fresh-as-it-gets produce, lighthouses, whale watching, surfing, golf, exquisite gardens, world class dining, unparalleled shopping, beach, mountains, and wildlife…San Mateo is one of the west coast’s most diversely rich and plentiful counties where exceptional beauty, history, fun, and culture all come together. With romantic hotels, restaurants, endless outdoor and indoor activities, museums, farms, and festivals, no better location exists for a romantic destination that offers something for both parts of your duo. When you tire of horseback riding on the beach or sipping fine wines while overlooking breathtaking vistas, try a coastal bicycle tour along estuaries and inlets filled with herons, geese and coastal wildlife. Stop pedaling long enough to explore vibrant coastal tide pools and marshes, while snacking on organic fruits and snacks as your knowledgeable guides educate and inspire you about local flora and fauna. San Mateo County is situated on a peninsula fifty miles in length, immediately south of San Francisco and is bordered on the east by San Francisco bay and on the west side by the Pacific Ocean, and finally on the south by Santa Clara and Santa Cruz counties. The Hiller Aviation Museum in San Carlos is a wonderful must see stop for plane buffs and for wanna-be kids of all ages where hands on exhibits, historical memorabilia and more, make this museum one of the best of its kind in the state. Half Moon Bay with its bountiful harvests of flowers, berries pumpkins, gourds, and artichokes is an absolute have-to stop where couples can experience generations-old farms and even try their hand at berry picking. The tiny charming town of Pescadero with its rich and flavorful history is an important place to stop and soak in the little coastal town’s many charms if for nothing else than to try some world famous artichoke bread or melt-in-your-mouth ollaliberry muffins or cobbler. Nebbia Winery in Half Moon Bay has exceptional wines where you’ll want to stop in to appreciate a sampling of local vintages and to explore the beautifully romantic grounds. The Harley Farms Goat Dairy is a wonderful culinary and educational experience and any trip to San Mateo County simply would not be complete without at least an hour or two to see, learn about, and appreciate this unique and beautiful working dairy farm where cheeses are much more than delicious but rather a true art form to be admired and savored. Filoli Gardens is a magnificent 654 acre estate including a 36,000 square foot home with 16 acres of formal gardens. It is a must do excursion any time of year. From the lavish decadence situated in the middle of Silicon Valley, called the Four Seasons in East Palo Alto to the quiet relaxed coastal inns of Half Moon Bay, accommodations to fit all preferences and pocket books abound in San Mateo County. The same goes for food where “fresh” takes on a whole new meaning from local chefs utilizing the county’s vast array of its best fresh produce in restaurants like 231 Ellsworth and Sofitel San Francisco Bay in Redwood City where culinary experiences beyond compare will leave you both with memories of a lifetime in dining and cuisine. 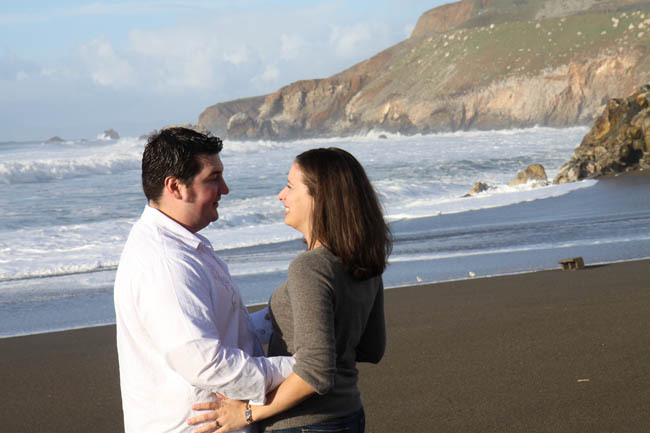 A thoroughly romantic, dog-friendly, Italian-style inn is the Half Moon Bay Inn. Thankfully, located directly below is the outstanding, It’s Italia, where you can savor superb pastas and seafood dishes. For complete privacy and serenity, stay at the Inn at Maverick’s for unsurpassed views of the entire coastline. This is a truly sensual experience of sounds, smells, and utter tranquility that will quiet the soul and revive the spirit. The only downside will certainly be the temptation to forgo your entire agenda to simply soak in the ambiance. For a fun and casual sea side dining experience, enjoy the Moss Beach Distillery for homemade specialties, a breathtaking view of the coast, and a hair-raising history. The Half Moon Bay Brewing Company has some of the state’s best beers and world class surfers from around the world congregate there for the food, the beer and some of the world’s best waves nearby at the annual Maverick. Chef Gaston Alfaro’s Yucatan-Asian influenced food is truly outstanding and the hospitality will make any couple want to return on their next visit, regardless of the surf. With its unique British food and hundreds of unusual collectibles and eclectic conversation pieces from locals and celebrities alike, Cameron’s Restaurant, Pub and Inn is a must stop for either a meal or snack and to take in the ambiance of yet another San Mateo County classic. They even have a British import shop with novelties to intrigue the guests. If relaxing deckside next to a blazing bonfire overlooking the sea sounds enticing, then Sam’s Chowder House is in order. Every painstakingly homemade sauce, salad, entrée, and dessert is bursting with freshness. They are even famous for their lobster rolls that are better than the Maine version. When it comes to fun, San Mateo County has it covered any time of year whether you time your stay for a special festival or simply choose to take in an unusual spectacle like the Pez Museum or the San Mateo County Historical Museum. San Mateo County knows how to throw festivities and one of its most famous is the annual World Championship Pumpkin Weigh off and Half Moon Bay Art & Pumpkin Festival where locals and out-of-towners compete to win a share of $20,000 in prize money for top gourds often weighing more than half a ton. The Mavericks yearly surfing phenomenon, the Pacific Coast Fog Fest, and Pacific Coast Dream Machines are just a few more San Mateo County events that draw folks from all over the world. Nature lovers will not want to miss the environmental wonders to be experienced at Coyote Point, Ano Nuevo, Pigeon Point Lighthouse, or Filoli Gardens. 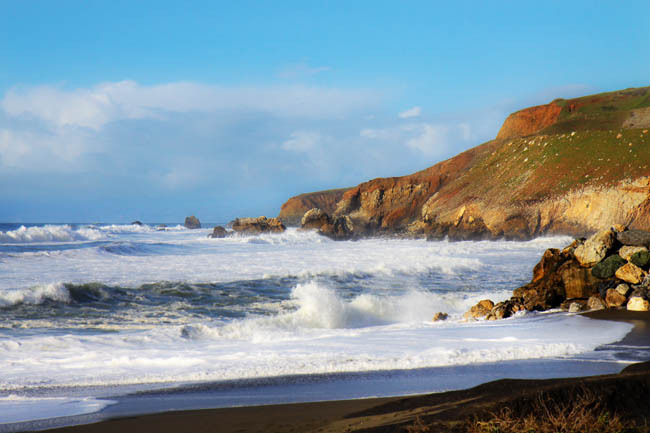 San Mateo County is also famous for boasting some of the state’s cleanest beaches. With breathtaking scenery, mild climate, redwoods, beaches, and diverse marine life, nature lovers will find San Mateo County a treasure to behold during any season. While the west coast has many fascinating and spell bindingly beautiful counties, San Mateo County offers something special for everyone from history buffs, to surfers, golfers to hikers, to wine spectators and fisherman. With a true tapestry of hidden and well known treasures concealed just well enough to preserve its unspoiled beauty, it may well be one of California’s best kept secrets.